Don’t have the time or knowledge to be a successful property investor? If you lead a busy life you may not have the inclination or the time to devote to identifying a suitable investment property. Consider a “Ready to Rent” property developed by our sister company. All properties are refurbished, sold compliant with all current letting regulation, with full certification provided. Properties are situated in popular rental areas, achieve a minimum rental yield of 7% on purchase price and have nominal void periods. We sometimes have properties which are tenanted, which Landlords are considering selling. A Tenanted investment can be ideal for the investor who wants to maximise their rent and minimise their void periods: Gain the advantage of knowing who your tenant is in advance, how much rent they are paying, their payment history, how long they intend to stay and ultimately the rental yield from day one. SOLD, Subject to conclusion of missives. A well presented, top floor, one bedroom flat in Falkirk Town centre. Contact our office for further details. SOLD: Renovated, three bedroom 1st floor flat in a quiet central location in Grangemouth. Contact our office for further details. SOLD: Superior two bedroom apartment in sought-after McDonald Crescent development in Falkirk. Contact our office for further details. 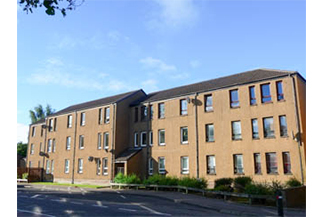 SOLD: One bedroom 1st floor tradition flat in central Falkirk Location. Contact our office for further details. What do investors buy in Central Scotland? Renting my property has been straight forward and hassle free. Being based overseas communication was a concern. I was kept informed at every stage from a Skype introduction to the pre-let safety checks, references and tenant move in. Thank you for your guidance and prompt attention at all times. I have always found and managed my own tenants. I was really pleased with the speed and the quotes for redecorating and carpeting my house which were forwarded to me. My property was quickly re-presented and re-let. My new tenants are professionals, properly referenced and are paying a higher rent that than my last tenants. I am very pleased. Thank you all. I came home late afternoon to find my kitchen floor soaked. My agent talked me through turning the water off. They said a plumber would be straight out. An hour and a half later, at 6pm on a Friday evening, the leak was fixed. Thank you for rescuing my Friday evening Campbell and Deans.